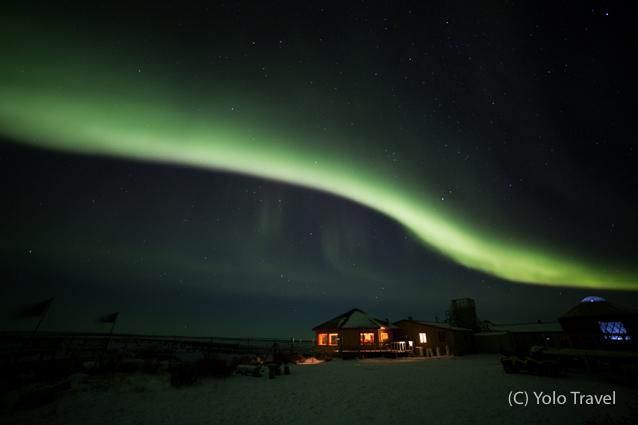 Location - Churchill and Seal River Heritage Lodge (on the shores of Hudson Bay, approximately 30 minutes by light aircraft north of Churchill), Manitoba, Canada. So, do you harbour hopes of one day winning the National Geographic Travel Photographer of the Year? Well the lucky (though deserving) winner for 2016 found themselves sent here as their amazing prize! From what we understand this is one of the very few places where you can track wild Polar Bears on foot, and get up close and very personal with them, without substantially impacting their well being, health or happiness. That's not to say, walking along side them doesn't come with its occasionally scary moment. Though in our experience, it was our Guide who was the most scary. The volume and curtness where all for a very good reason, as our German collegue has failed to follow previous instructions and the advancing Polar Bear came within just a few meters of our group.